Learn how to establish an Amazon Web Services (AWS) account under the UC Agreement. 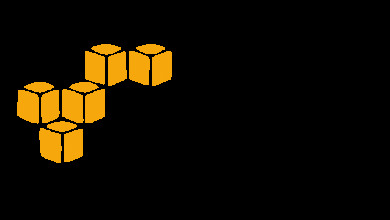 A UC-wide agreement for Amazon Web Services (AWS) has been established. Follow the instructions below to ensure that an AWS account for UCSD business is covered under this agreement and in compliance with UC policy and the law. Eligible AWS direct costs obtained through UCSD Contracts will be exempt from indirect costs (IDC) on sponsored research awards. You will only be able to access the AWS services after all steps below are completed and ITS Cloud Services receives approval and confirmation from AWS. Provide the requested information. Do not include a credit card number, despite the request for that information. It will complicate and delay the process. At the completion of the AWS account creation process, the system will generate your 12-digit AWS account number. After you have the AWS account number, fill out AWS cloud optimization onboarding form. The ITS Cloud Services Team will then contact you to schedule a meeting finalizing your account. Follow the instructions in the AWS activation email and your account will be ready for use. Any monthly costs will be charged against the Index you provided in the onboarding form. Fill out AWS cloud optimization onboarding form. After this meeting you will receive an activation email from AWS confirming the account is set up for invoicing under the UC AWS agreement. You can proceed to build in AWS, and any monthly costs will be charged against the Index you provided in the onboarding form.